Plessey announces the launch of its new Hyperion Inter Light. 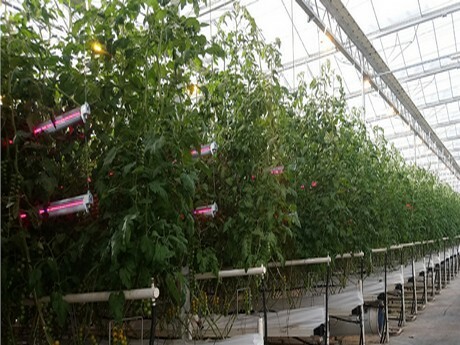 The Inter Light fixture has been designed to provide intra canopy light from LEDs for high wire cultivation of greenhouse vegetables and is installed within the crop to supplement existing top lighting. 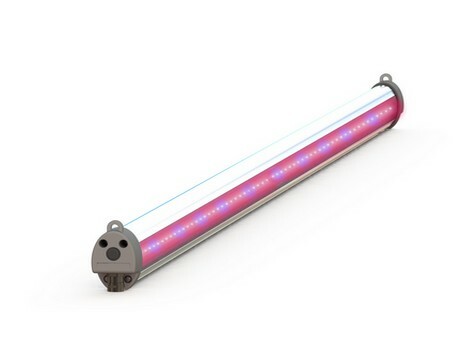 The Inter Light system comes with a 5 year warranty. Installation is simple and cost-effective with plug and play connections, daisy-chaining up to 20 fixtures together and simple mounting on wires that can be raised and lowered. 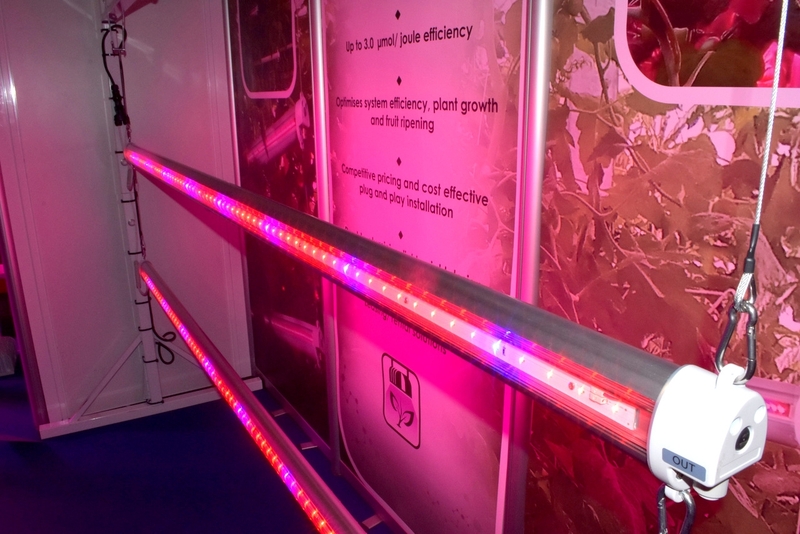 The Inter Light hangs within the canopy of high wire crops, providing light at optimised spectrums and also acts as an extra heating pipe to deliver higher yields from less energy.